So, what sort of legacy will they be inheriting? To start, it needs to be said that there is a lot happening in Bill 51, some of it very good and some of it more problematic. West Coast has prepared an analysis with our detailed take on the strengths and weaknesses of Bill 51. If you want all the dirt on how Bill 51 measures up to our vision for a new assessment process that would truly enhance sustainability, advance reconciliation and meaningfully involve communities (a vision we’ve previously discussed on the blog here and here), then West Coast’s detailed analysis of Bill 51 is the place to look. But maybe you just want a high-level sense of how BC’s proposed new Environmental Assessment Act would be different – or not – from what we currently have. If so, this blog is for you. Below, we summarize three examples of changes in Bill 51 that we think have the potential to make for a different and better EA process in BC, as well as three examples of problems that we hoped would be transformed but, unfortunately, still look pretty familiar. The First Nations Leadership Council’s reaction to Bill 51 was that it “goes beyond the status quo and marks [an] important step in First Nation – BC relations.” Likely the biggest change that Bill 51 would make to EA in BC is recognizing the jurisdiction of Indigenous nations and providing mechanisms for that jurisdiction to be reflected in assessments. For example, Bill 51 would establish that an explicit purpose of the BC Environmental Assessment Office (EAO) is to “support reconciliation,” including supporting implementation of the United Nations Declaration on the Rights of Indigenous Peoples and recognizing the inherent jurisdiction of Indigenous nations. The bill provides some practical tools in this regard, such as welcome measures for Indigenous-led assessments and studies, and options for independent, non-binding dispute resolution between Indigenous nations and the Crown. Bill 51 is by no means a home run on improving public participation – for example, there is still no requirement for an assessment to have a community hearing or any other in-person opportunity for the general public to engage with the body conducting an assessment. Also, while the Province has promised to establish a public participant funding program for EAs (which could be a major improvement), Bill 51 does not provide for it in law. The role of the Community Advisory Committee described in the bill would be to advise the EAO on the potential effects of a project on the community, with the option to set out more specific roles for each individual assessment. This could be made stronger by giving a Community Advisory Committee a clear legislated role in proactively shaping each assessment, for example through nominating experts to review evidence, and helping to develop the plan for assessment studies as well as the plan for public engagement. West Coast has long advocated that regional assessments are a major opportunity to address “death by a thousand cuts” by stepping back from assessing impacts of each project one-by-one, to assess cumulative impacts on ecosystems and human well-being at a regional scale and set management objectives that would apply in individual project assessments, as well as other provincial decisions in the region. 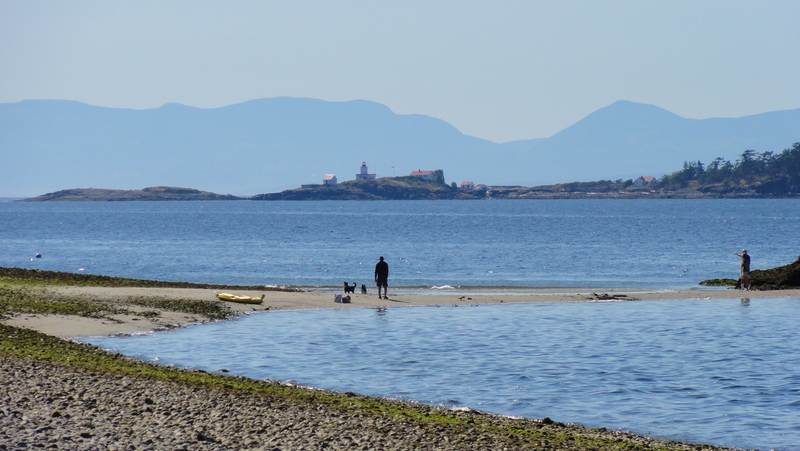 For the first time in BC’s EA legislation, Bill 51 enables regional assessments. Bill 51 also requires that regional assessments (where they exist) be considered in project assessments, and provides mechanisms for regional assessments to be conducted cooperatively with other jurisdictions such as Indigenous nations and the federal government. BC has committed to address the process and content of regional assessments through the development of a separate regulation. There are a couple significant weaknesses in how Bill 51 addresses regional assessment, however. The first is that there are no triggers to require that regional assessments actually occur, nor is there a provision for the public to formally request a regional assessment. As we’ve seen with the cobweb-covered section 49 in BC’s current EA Act – which allows for strategic assessments of “policies and practices” but to our knowledge has not been used in this millennium – simply enabling something in law does not mean it will happen in the real world. Second, there is no provision for the outcomes of a regional assessment to be binding. Regional assessments would simply be a consideration in project assessments, and Bill 51 offers no legal mechanism to apply regional assessments to any other provincial decision-making in the region. This limits the effectiveness of regional assessment as a tool to manage cumulative effects. Nonetheless, Bill 51 would bring regional assessments in BC a step closer to reality, and there would be some opportunity to advocate for stronger regional assessment provisions when the government conducts consultations on the associated regulation. The bill establishes a welcome new list of matters that must be assessed, but when it comes to the final approval, ministers may still base their decision on anything they “consider relevant to the public interest” (even including considerations that may be contrary to the purposes set out in the bill). To see how this is problematic, one need only look at the example of BC’s legislated targets to reduce greenhouse gas (GHG) emissions under the Greenhouse Gas Reduction Targets Act (soon to become the Climate Change Accountability Act). After careful review of your government’s recently introduced legislation, we conclude that the proposed environmental assessment process will fall short of your stated goal – to protect the environment and restore public confidence. In particular, the proposed legislation retains three deficiencies of current practice that are at odds with the foundations of science-based decisions, namely, a lack of scientific independence, of peer-review, and of transparency. While Bill 51 provides options to use evidence from sources other than the proponent, and options for expert peer review of proponent materials, these are not requirements (other than a guarantee that Indigenous nations may evaluate the impacts of a project on the nation and its rights). The default practice would still be for the proponent to generate most or all of the evidence. The bill would formalize the current approach of an EAO-appointed technical advisory committee to review proponent materials, but there would be no requirement that the committee have the expertise necessary to evaluate the quality of the evidence, nor would external peer review of the evidence be required. Under the current regime, technical advisory committees have been composed in large part of provincial ministry staff who may or may not have the full expertise needed (as well as some other representatives, e.g. from Indigenous nations or local governments). When it comes to environmental assessments in BC, one of the most common complaints is that project reviews rely primarily on evidence generated by the proponent… If the company proposing the project is presenting the bulk of the evidence, and there are no requirements for independent studies, expert peer reviews or panel hearings to test evidence, how can British Columbians have faith that all the concerns and potential impacts have been addressed? There has been plenty of coverage recently regarding the problems associated with BC’s ability to exempt projects from undergoing an environmental assessment at all. For example, three gas plants in northeastern BC were exempted from the legal requirement for EAs between 2014-2015, with no public notification or opportunity for comment. One of the gas plants exempted from EA was described as the largest of its kind built in western Canada in the past 30 years. Recently, Sierra Club BC took the EAO to court to challenge BC’s retroactive EA exemption of two dams built by Progress Energy in relation to its fracking operations. In those cases, after the two dams were already built and it became clear that the company had failed to undergo the legally-required EAs for each of them, the company asked the EAO to simply exempt the projects from the requirement to obtain an EA in the first place, and the EAO agreed to do so. Bill 51 continues BC’s power to exempt projects from EA. Under the bill, the EAO could recommend an exemption to the Minister, who would then make a decision. The bill grants broad discretion to the Minister in deciding whether to exempt projects. At a time when EA reform should be leading to a significant increase in the types and scope of projects that are assessed, in order to meet sustainability objectives, the ongoing power to exempt projects from an otherwise-required EA is concerning. Bill 51 really would make some significant – and positive – changes to how environmental assessments work in BC. But a few of the biggest problems, which underlie the strong momentum that has built to reform EA in BC, are still looking pretty familiar. Update: on November 26, Bill 51 passed the Legislature with minor amendments. The new law will be brought into force on a future date set by regulation, which BC suggests will be in late 2019.